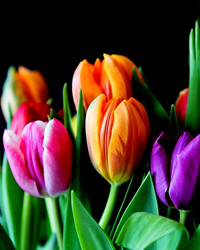 Obituary for Helen L. (VIllella) Gobbo | Bohn-Matich Funeral & Cremation Services, Inc.
Helen L. Gobbo, 87, of Baden, died on Wednesday, March 27, 2019, at home. Born February 10, 1932, in Ambridge the daughter of the late Francis and Angelina Vescio Villella She was a member of St John the Baptist Catholic Church in Baden, where she was a pierogi maker. She was a loving, wife, mother and grandmother who enjoyed baking and cooking for family and friends. She loved family time at the beach and playing the slots at Las Vegas. She was also an avid Pirate Fan. In addition to her parents she was preceded in death by her husband, Eugene J. Gobbo on September 2, 1996; six brothers and two sisters. Surviving are a son, Leo Gobbo of Henderson Nev., two daughters and a son-in-law, Diane and John Bosco of Hampton Va. and Sandra Gobbo of Baden; a granddaughter, Sarah Bosco of Hampton Va., and a grandson Thomas John Gobbo of Henderson Nev. Friends will be received Saturday, March 30, 2019, from 9 a.m. until time of prayer service at 11 a.m. at BOHN-MATICH FUNERAL & CREMATION SERVICES, INC., 1099 Maplewood Ave., Ambridge, a Mass of Christian burial will follow at 11:30 at St John the Baptist Catholic Church in Baden. Interment will follow at Sylvania Hills Memorial Park. The family would like to thank the aides and nurses at Heritage Valley Sewickley and Mother Theresa Hospice for their care and compassion they gave in her final days.